For the avid reader, the bedside reading cabinet integrates a bookshelf into the wild Irish ash top. Underneath is a tray for storing everyday bits and pieces and below this a spacious drawer. 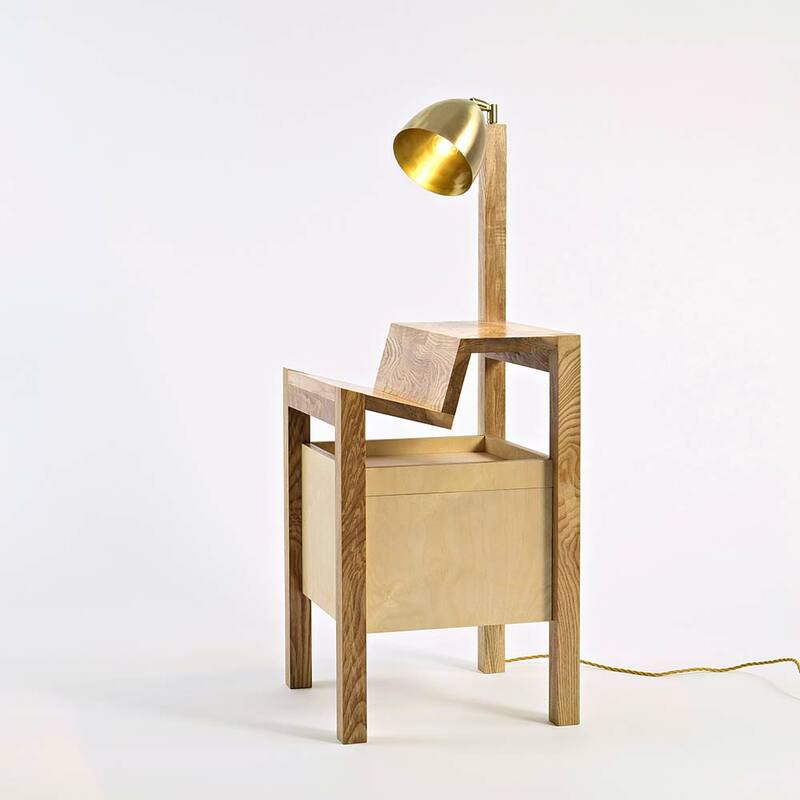 The cabinet's back leg is a reading lamp, which is fully adjustable and can be used as both an up light and down light. The switch is easily accessible at the back of this leg. The cabinet is made from beautiful wild Irish ash and high quality birch multiply. The finish is a hardwearing, natural, hand rubbed oil. The lamp is solid brass and there is a range of brass lampshades to choose from. Dimensions: height 68cm (to table top), width 42cm, depth 42cm. Limited edition no. 4 now available. Each bedside reading cabinet is made specially to order. Please contact Colin to discuss any custom requirements and expected delivery times.